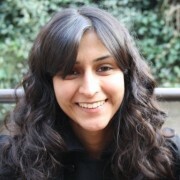 Neha is a Lecturer in Health Economics at the Institute of Global Health at University College London, interested in applied micro-econometrics; poverty and inequality; human capital - health, nutrition, and education and non-cognitive skills; human resources for health; and economic evaluation. She works within the framework of large cluster randomised public health trials that aim to improve maternal health, and child health and development in a range of settings that include India, Pakistan, Mozambique and Papua New Guinea. In addition to her research activities, she actively contributes to the design and delivery of lectures for the MSc in Health Economics and Decision Science. Additionally, Neha contributes to teaching activities on the MSc in Global Health and Development. She has also worked closely with colleagues at the London School of Hygiene and Tropical Medicine as a tutor on a blended learning course on Health Economics and Health Financing offered to UNICEF staff. Skordis-Worrall, J., Sinha, R., Kumar, A., Sarangi, S., Nair, N., Tripathy, P., . . . Haghparast-Bidgoli, H. (2016). Protocol for the economic evaluation of a community-based intervention to improve growth among children under two in rural India (CARING trial). BMJ Open, 6 (11). 10.1136/bmjopen-2016-012046. Morrison, J. L., Thapa, R., Basnyat, R., Batura, N., & Skordis-Worrall, J. (2015). How effective is the recruitment of temporary contract nurses in improving service provision and nurse retention in rural Nepal?. Nepal: Nick Simons Institute. Batura, N., Pulkki-Brännström, A. M., Agrawal, P., Bagra, A., Haghparast-Bidgoli, H., Bozzani, F., . . . Skordis-Worrall, J. (2014). Collecting and analysing cost data for complex public health trials: reflections on practice. Glob Health Action, 7, 23257. Haghparast-Bidgoli, H., Skordis-Worrall, J., Batura, N., & Hughes, J. (2014). Use of portfolio to assess the learning of a diverse group of students taking an online course in Economic Evaluation. Presented at: UCL Teaching and Learning Conference. Skordis-Worrall, J., Haghparast-Bidgoli, H., Batura, N., & Hughes, J. (n.d.). Learning Online: A Case Study Exploring Student Perceptions and Experience of a Course in Economic Evaluation. International Journal of Teaching and Learning in Higher Education, 27 (3).